People need to have a certified translation of their personal documents all the time. We’ve decided to celebrate our 19th year in business with a special offer for those of you in need of certified translation for the US. Time is money, and both are spent carefully, so here are the most affordable packages coming your way. The rates have been cut down to a good percentage for our valued clients, so send us the documents you need to translate now. We are here around the clock for you and our prices go as low as 20$ per page without any compromises on quality. For the whole month, you can have your translation done at a special price: only $20 per page. Feel free to look around for a better offer, but save this page first. We did, and we can tell you this is the best price in the industry, you won’t find any other translation company willing to go that low. We’ve seen prices going as high as $45 per page and as low as $30 per page. But we have yet to see anyone beating our rates. We can guarantee this. We are offering this price for this month only so make sure you don’t miss it. Another advantage in working with us is the fact that we are here for you 24 hours a day, 7 days a week, ready to help you with your translation. With us you can get your quote in 5 minutes and have your translations sent to your email in only a couple hours. We are here around the clock. This means, you can approach us for services at any time. And we will ensure you with the best price and best quality at the same time and all in one place. 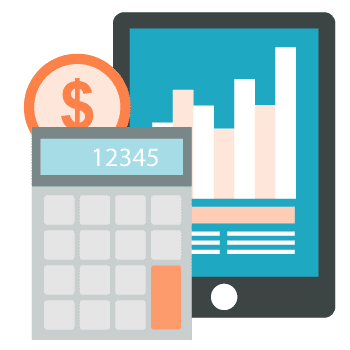 You can calculate the price of your translation by your own, simply by using our certified translation tool! Please note: the price is valid for pages having up to 200 words. If there are more words on the page, a price of $0.12 per word will be charged instead. If you’re in need of certified translation services, we can provide it at a special price! If you need certified translation for USCIS or any other institution in the United States, look no further! With us you get cheap certified translation services of the highest quality at only $20 per page! If you’re in the United States and your personal documents are in a language other than English, you will need all those documents translated and certified according to USCIS regulations. Universal Translation Services can do that for you at any time at a price you simply cannot refuse. To become an expert, you have to study a lot. But getting certificates and diplomas aren’t enough to excel in a field. You have to do a lot of things to make a name for yourself. If you want to become a surgeon, you won’t simply have to study and give exams, you will also have to undergo a proper training. Once your training is complete, you will get your certificate that will declare your new status as a surgeon. But all of this would not have been possible without your training. The same can be said for almost anything. For those of us who want to become a certified translator, reading different language books is not enough. You can learn new languages but you still won’t become a good translator of these languages unless you study and practice. So in order to become a certified translator, not only will you have to learn different languages but also practice regularly. People prefer to get their documents translated by a certified translator which is why certified translators are always in demand and are paid handsomely too. Finding a certified translator without the help of a translation agency can be pretty difficult. You will have to look for a certified translator yourself. But thanks to the translation agencies getting a certified translator has become easy. You can get in touch with a reliable translation agency and they will connect you with a certified translator. Looking for ATA certified translations? We are a member of the ATA! ATA stands for American Translator’s Association; this is a certifying institution for translators who want to gain some extra acknowledgement of their translation abilities in the United States. The translators who are certified by the ATA can be trusted to conduct translations at the highest level. Same as the translators, the translation companies have the option to become a member of the ATA. Universal Translation Services is a proud member of the ATA, and you can see our membership here. While a translator or a company doesn’t have to be a member of the ATA in order for their translations to be accepted officially, almost all professional offices and institutions in the United States demand that the translations that are submitted to their offices should be certified. If a translator or a translation company is a member of the ATA, this may give more weight or credibility to a translation. ATA certification is a long range and variety of exams that are passed by the translator in the language pair that he is translating for. The translator will have to clear the exam and then he will be an ATA member. Whether your project is of 100 words or over 10,000, Universal Translation Services can provide you with a prompt, accurate and official translation Spanish to English from a qualified native translator. Having native Spanish translators with the knowledge and experience of a specific field allows our Spanish to English and vice-versa translation teams to deliver outstanding results. Our services range from simple document translations to business, medical, legal, commercial and technical translation. Quality, accuracy, and confidentiality are what we provide. For excellent official translation from English to Spanish, look no further than Universal Translation Services. We draw from a group of over 3,000 certified linguists who can provide the highest-quality Spanish translation solutions on time and on budget. Our native English to Spanish translators are skilled for translations in legal, medical, technical, and financial documents and provide accurate Spanish to English and English to Spanish translations because they have a natural understanding for the language. Our Portuguese to English certified translation services cater to clients who need official translations of legal Portuguese documents to be presented to official authorities for officially authorized purposes in the USA, Brazil, Portugal, and other countries. We offer all sorts of Portuguese translation services to suit all your needs. 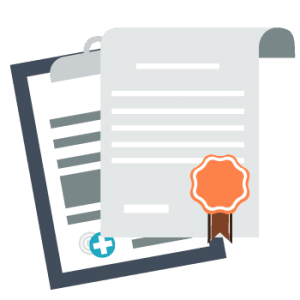 We issue a signed and stamped certificate of accuracy with the translated document, declaring the translation to be precise and complete. All translations are guaranteed to be accepted anywhere in the US. Official French to English document translation services are often required by USCIS, businesses and law firms in the United States. If your company is thinking about having some French financial or legal documents translated into English, here we employ certified translators to provide you with the best official translation from French to English that is performed according to the requirements of the institution asking for the translation. You can count on us for the best and cheapest translation services anywhere in the U.S.
Official translation from German to English is a service that is highly needed in parts of the United States and Canada, where German immigrants and German-Dutch communities live, such as Pennsylvania Dutch areas in the United States. Our translators are skilled in various areas of industry specific German to English translation. Whether you need legal documents, birth certificates, property titles, or academic materials translated, we have professional linguists who can accurately translate any document, from any language. If you are planning to drive in a foreign country you’ll need an official translation of your driver’s license in order to rent and drive a vehicle. Official translations are a specific type of translation required by USCIS, schools and university applications, passport office usage and many other official institutions. Official translation of driver’s license which is delivered by us includes a signed and stamped Certificate of Translation Accuracy, which attests to the accuracy of the translation, making it valid anywhere in the United States. The official translation certificate is a legally valid translation of a document to be delivered to an authority or institution in the US. Official translation usually carries a stamp and they are accompanied by a certification or a statement by a translator. When it comes to delivering official translation certificates, Universal Translation Services takes care of all requirements like providing high quality translations, timely delivery, maintaining precision levels and preparing the certification for the translation as required by the USCIS. The ATA (American Translator’s Association) certification is one of the industry's most esteemed and renowned credentials. 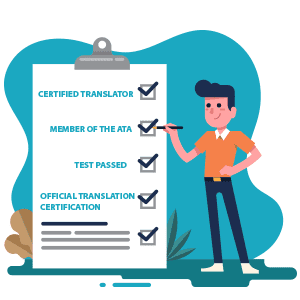 The ATA Certification Program's goals are to raise professional standards, boost individual performance, and recognize translators and companies who possess the essential knowledge and skills to provide accurate translations. Universal Translation Services is a proud member of the ATA, and if a translator or a translation company is a member of the ATA, this will give more weight and value to an official translation. Official translation of a document means a translation that can be used for the one of the following purposes: employment-based VISAs, green card applications, citizenship applications, marriage-based applications, school transcripts, etc. We advise you to choose an expert translator for the translation of your official documents to avoid any problems with overseas government officials and authorities. Our highly qualified translators will make sure that your document translation to any language is 100 % correct. Universal Translation Services is one of the best providers of official translation services online. The past few years have seen foremost changes in the accessibility of online translation services. Customers can now choose from a wide range of skilled translation companies that provide a fully online ordering and delivery process for documents in e-file format. UTS excel in delivering translations at very competitive prices and at fast delivery times. You can get a free quote, pay online and track the progress of the order online. The benefits of using an official translation site are endless. To start with, you can get answers to all your questions in just a few minutes by using our live-chat feature which is available 24/7. You can also get a free quote, and if you agree to it, you can order your translation online. You can also pay for it from the comfort of your home. You can have the translation delivered by email or at your doorstep. To top it all off, the translation will be just as good as any translation you can get in person if you visit our offices in Miami or in Aventura, guaranteed. What separates us from other official translation services online is that we don’t depend on the translation software for these sorts of purposes. Only human expert translators are engaged in the process of translation and proofreading. 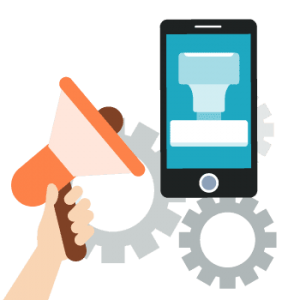 The flawless customer support we offer has made us the most wanted partner of a variety of big businesses and institutions. While translating the document, our company makes sure that the translators are aware of the requirements and the result in a translation which is guaranteed to be accepted. We offer our official translation services and language solutions for individuals, businesses and all sorts of government agencies from all over the world. With our document translation services, clients from anywhere in the US can rapidly and professionally have all of their language needs met. Translation quotes for our Miami translation services are provided promptly (in 5 minutes or less) and are always free! Get in touch with us today to find out how we can serve you better than any other official translation agencies in or around Miami. UTS is an official member of the American Translators Association (ATA). This is a significant move that we are making in our commitment towards establishing UTS as a high-quality and reliable service provider for certified translation services. As a member, we are entitled to use the ATA logo, allowing us to set ourselves apart from our competition, and help quality-conscious clients identify us as the go-to language service provider. What this indicates is that our clients can now have a way to get translation services of a higher quality standard! An official translation is described as a translation that has been signed and stamped by a professional translator. 'Official' terms differ from nation to nation, depending on that country’s particular legal system. Some confusion is therefore bound to arise in the certified translations vs official translations battle. 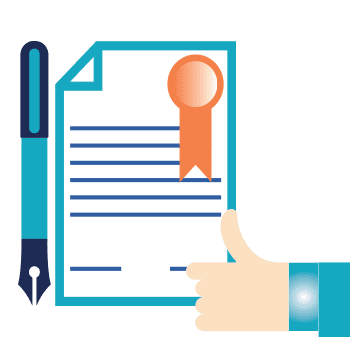 A certified translation is followed by a signed declaration attesting that the translation is correct and flawless to the best of the translator's experience and skills. A certified translation is the same as an official translation in the US. There is no single meaning for "certified translator." The qualification for a "certified translator" will depend on factors such as how and where the translated document will be used. Different nations will have different specifications for a translation to be recognized "certified" or "accredited." In the United States, the American Translators Association (ATA) provides translator certifications in different language sets. Although it is not a government-set entity, the translators who are members of the ATA are always preferred. 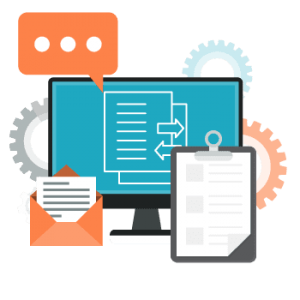 Online document translator services involve translating documents from a specific language to another fast and accurate. Be it a personal document, a business manual or an official contract, if you need to translate it from one language to another, we will do it fast and with high accuracy. We make sure that the same meaning of the message is perfectly conveyed into the target language. With years of practice, our expert team of translators is proficient in translating from and into more than 120 languages, meeting any requirements you may have. 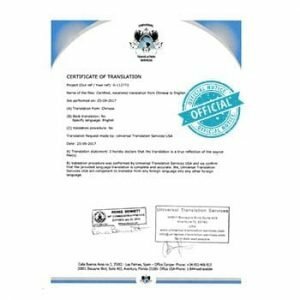 The certified translation certificate is delivered on our letterhead and includes a stamped and signed Certificate of Translation Accuracy, which clears to the completeness and correctness of the translation and the abilities of the translator. If certification isn't needed, we also offer general translation services, which are sent in an editable form and are usually used for business or personal purposes. All you need to do is to send us a scanned copy of your document to translate, and we’ll have it translated within a short time frame and at a low price. Universal Translation Services also offers certified translation Russian to English and handling a wide range of documents such as birth certificates, marriage, and death certificates, official certificates, personal letters, diplomas and degrees as well as any other document needed for immigration. Unlike informal usage, translation of official documents must adhere to various rules and a high level of professional translation is needed before sending the documents to government agencies in the United States. The Greek language has an old history, with several grown dialects and ancient writings and texts of all kinds. Our translators are each skilled with industry-specific translation abilities, whether it is an old anthropological text, a computer hardware installation manual or a legal document. We provide both non-technical and technical certified translation services from Greek to English for clients worldwide. We guarantee error-free, accurate Greek document translation, and always at the lowest cost possible to you. If you are looking for certified translation from Russian, Universal Translation Services is the best place to go to. UTS provides high quality, high value professional Russian translation services that can give you the high quality you are expecting but at a lower price. We’ll provide your translated document back to you in the same format you gave it to us in along with our certificate of accuracy. The translation is guaranteed to be accepted by USCIS and it will only cost you $20 per page if there are less than 200 words on the page. At UTS, our aim while engaging a certified translation project is not simply to translate accurately, but to work in the target language, so that primary differences and meaning remain intact and the original message is sent without compromise. We hire professional certified translators to perform each certified translation. This is why our production activities are divided into specific groups, each holding extensive in the exact requirements of each industry. Check out our certified translation services reviews and get back to us! For exceptional certified translation services Italian to English, look no further than Universal Translation Services. We draw from a pool of over 4,000 certified translators and proofreaders who can give the highest-quality Italian to English translation services on time and within budget. Also, UTS is the largest language services provider to be fully ATA certified and accredited by the BBB, making sure that all of your Italian translation tasks will always meet the most stringent standards for quality, cost, and accuracy. Don’t know where to find certified translation Chinese to English? Our translation agency will help you. At Universal Translation Services, we offer the most cost-effective and high quality fully certified translation services form Chinese to English. We understand that the translation and legalization of your document can appear daunting but don’t worry; we are available 24/7 to make it easy for you. Our ordering system is clear, simple, and ensures you receive your document quickly, with the minimum amount of fuss and at a low cost. Universal Translation Services provides certified translation from Japanese to English which is guaranteed to be of the highest quality. Your personal and professional documents will be in the hands of UTS’s expert Japanese translators, who will create a translation that is both accurate and effective. Our document translation services are performed by professional, highly skilled translators working for us on a global scale, who are proficient in translating Japanese and who make sure you receive your translation in time, anytime. Universal Translation Services offers certified translations. What is a certified translation of Hebrew to English? A Hebrew certified translation carries a document signed and stamped by the translator trained in translating between the Hebrew English languages and notarized by a Notary Public attesting to the accuracy of the translation. We are members of ATA - American Translators Association. Our professional translators attest to the accuracy of all BBT translations, and every page of your translation is attested to reduce the possibility of fraud. Do you have a business or legal documents that need Arabic to English certified translation services at reasonable rates, or any other language pair? Arabic translation services from professional translators and interpreters anyplace you are in the universe. Our translation services are available for business, localization, legal, medical, certified translations, and more. Universal Translation Services provides native Arabic speakers trained explicitly in your area of expertise, as well as in translation. Get your free online quote today. UTS provides Polish English certified translation services through its extensive network of more than 4,000 linguists. Whether you are a college student looking to get his school documents translated or a newly arrived immigrant looking to get the documents translated for immigration purposes, certified Polish to English translation is in high demand these days in all parts of the country. An exceptional staff of talented, highly educated and well versed Polish linguists is something that we are very fortunate and proud to have. If you’re planning on moving from Germany to the United States or doing business in the US, you’ll need certified German translation services of all your necessary legal documents. With accuracy and rapid turnaround, Universal Translation Services should be your first choice. Our certified translations are internationally accepted, and we can translate and certify any document from German into English in the right format required. Just send us a scanned copy of your document, and we’ll translate it for you in no time. We are a certified translation agency specializing in Arabic to English and English to Arabic translation. We have formed an experienced team of Arabic translators, editors, and proofreaders which have been working with us for many years. Our translators are reliable and can deliver your order in the shortest possible time, usually 24 hours or less, and we guarantee USCIS acceptance. We understand that you need certified translation Arabic to English for USCIS and you don't need to worry; we are here to make it perfectly and cheap for you. Get your translation certified at the best rates that you've had come across in the translation industry. We have offers available for any kind of translation without any hidden or extra charges. 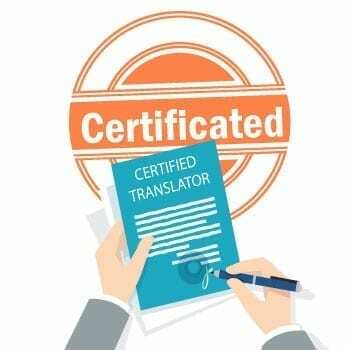 Now you can get your translation certified without waiting for days because we deliver fast, in 24 hours or less. Our rates are extremely accommodating and your satisfaction is our top most priority, and this is why all translations done by us are guaranteed to be accepted at any immigration office in the US. Want high quality at low rates? Get in touch! If you don't want to deal with delays in your immigration case only hire professional translators to translate for you. We offer the cheapest deals suited for translations. 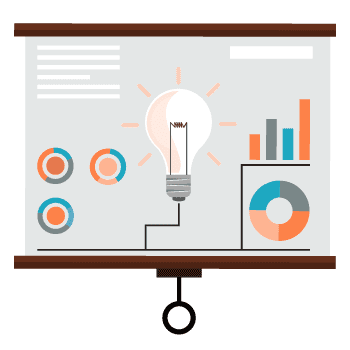 To translate certificates, we incorporate experienced individuals, who are natives of the languages involved, and they help you achieve the goals set for the translation experience. They help us achieve the quality desired and requested by our clients, but we offer all these services at the best rates which are affordable and suited for every individual reaching out to us for official translation. With online certified translation services, you may wonder why not just opt for online translation tools which are for free. We have professional human linguists who are skilled natives, having years of experience in the field who work hard to aim for the precision required. Machine tools may come free but cannot offer you precision or certification which alone would cost you even more with a bad translation. We offer high quality and give you exactly what you need in order to proceed with your immigration case. Reach out to us, and you will not be disappointed. In order to acquire the best certified translation services at the most suitable rates in the country, you need to be associated with our services. With 18 years of experience, we have gained what we consider to be sufficient for excellent services for our clients. But we also realize that we are in constant need of renewing our knowledge and expertise. For this purpose, we stay updated with the international standards for certified translations globally and makes sure that every client walks out with the peace of mind knowing that they have chosen the best. How much does it cost? How is the certified translation cost calculated? Almost every other translation agency quote costs by amount of words, e.g., how many words they need to translate multiplied with a per-word cost for the language. At first glance this type of calculation makes sense as it is usually the best method (number of words) for both client and agency. Though, going forward, this model can cost clients a lot more as most agencies will add minimum cost into action. What does this mean for clients? 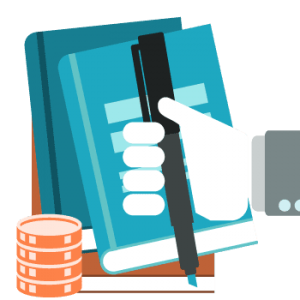 Obviously, a highest cost of the translation in most cases, as personal documents comprise of lower word count and the minimum fee is applied by default. We however are different. Instead of going with a per-word calculation, we charge per page in most cases. This turns highly beneficial for our clients as, as far as we are aware, we charge the lowest prices for certified translation. 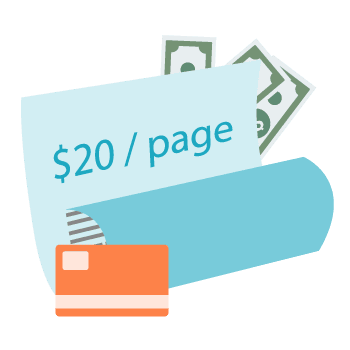 When it comes to certified translation we charge $20 per page if there are less than 200 words on the page. If there are more words, we charge $0.12 per word instead. Either way, our price is the lowest you can find for this level of quality. Your translation comes with USCIS acceptance guarantee. If you need to have your translation notarized you will have to pay the certified translation and $20 extra for notarization. If your birth certificate is only one page under 200 words, translation and notarization will cost $40. If you need hard copies sent to you, it will be $10 extra. Your documents can be sent by certified mail, or you can come pick them up from our offices. We do not have any hidden fees and we don’t charge extra if you need your translation in a hurry or if we need to work on it during the weekend. Your total price will be clearly stated in our quote, and that is exactly what you have to pay. A certified translation is the attestation of the fact that the document translated by a translation company or translator is done to the best ability of the translator and is accurate, in complete alignment with the original document. It is a proof that the translated document has been done by a qualified translator and does not have any kind of discrepancy whatsoever. The statement is signed by our general manager and it contains our credentials, qualifications, contact number and address etc. This is done so that if we need to be contacted for crosschecking by the concerned authority about the authenticity of the document, we can be, with ease. When is certified translation required? A certified translation is required when you are submitting legal documents to any court of law or USCIS in case of immigration. The documents as mentioned above comprises of the likes of birth certificates, educational records, marriage certificates, or any other personal documents. It might as well be required to be notarized in some cases. If you are looking for cheap certified translation services, then worry no more because you have landed exactly where you needed to. We offer these services at the lowest rates possible. You wouldn’t feel a slight bit of a burden on your pocket. The translation passes through our staff from project manager to translator, editor and finally to the proofreader and is of the highest quality and is officially certified by us. You can relax knowing that your documents are being handled by skilled and experienced linguists and our translations are guaranteed to be accepted by USCIS. An official translation is a translation that is presented in an official manner in any office, institution or agency. When a translation is being presented to a serious reviewer who is reviewing for professional reasons; the translator and his credentials become incredibly important. The official translation will come with a ‘Certificate of Accuracy’ that declares that the translator or the translation company takes full and complete responsibility for the contents of the translation and it also gives complete credentials, and contact details so that the translator can be contacted and verified in order to trust the translation that he has conducted. Official translations also make the accommodation that the translation is not done by the submitter or the applicant himself. The translator will be the verifier that the translation is not changing of information and facts in any way. He is an automatic valuator of the details given in submission. An official translation is required so that the information cannot be manipulated by the applicant in any way. Is there a difference between an official translation and a certified translation? No, there isn’t! The official translation is basically another word for a certified translation. The fact that the translation is certified is what makes the translation officially acceptable. Certified translations are any translation that comes with the Certificate of Authenticity from the translator stating that the translation is accurate, authentic and will be the responsibility of the translator themselves. The translator will also give his credentials and the credentials of his translation agency along with their complete contact details. What makes a certified translation an official translation? A certified translation can be presented in an official capacity in various offices of all kinds. Hospitals, academic institutions, governmental organizations and other serious institutions will all ask for an official translation in order to be sure that the translation is accurate and can be trusted. For all these institutions, the contents of the translation will be an integral part of their evaluation of the circumstances and thus the translation is extremely important. What do you mean by legal translation? A legal translation is the translation of documents and text that are having a legal subject and are culture dependent. 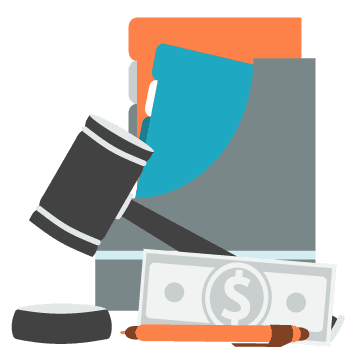 Translators that are experienced in legal translation and specialists knowing how to translate exactly what has been legally written will precisely translate the text using specific legal terms. Do I need to translate my marriage certificate? If you have a marriage certificate that is written in another language than English, yes, you need to get it translated if you need to use if for immigration purposes. Those are the rules of the U.S. Immigration Office. Visit immihelp.com for more information. A professional translator is a translator that is fluent in another language and is trained and has experience in translating documents. He or she should be able to understand, speak, read and write in that other language and should have a Bachelor’s degree in that other language. Can a notary be a certified translator? Yes and no. A notary public may be fluent in two languages and could provide certified translation, but he won’t be able to act as a translator and a notary public at the same time. A notary public could translate, but he is not allowed to notarize his own translation. Yes, a notary public could translate a birth certificate if he knows the languages involved and sign the certificate of accuracy, but he won’t be able to notarize his own signature. If you need your birth certificate translation notarized, you will have to get a certified translation which you’ll need to bring in front of the notary along with the person signing the certificate and the notary will notarize the certificate after verifying the identity of the person who signed the certificate of accuracy. What is an ATA certified translator? An ATA certified translator is a linguist who is a member of the ATA and has passed their exams. The examination is purely based on language knowledge and translation abilities and has nothing to do with the requirements of the USCIS for instance. No, a translator doesn’t have to be a member of the ATA in order to provide certified translation for immigration. What is an ATA certified translation company? A translation company could express their will to join the ATA as a member. If the ATA accepts the company, it will give it a member status and a page on their website. Universal Translation Services is a member of the ATA. What is another word for certified translation? In case you were wondering if there is another word for certified translation, let us clear this for you. You must have come across the word official translation in your requirements. The official translation is a term that is used instead of certified translation in many documents and offices. The term means the same as certified translation. Usually, a translator does not need to show his or her credentials. You can get a translation without showing your credentials at all. In a certified translation, the translator shares their credentials. It makes the process of getting the translation ‘official’. This is where the term ‘official translation’ comes from; because the translator or the translation agency add their credentials officially. Official translation services are mandatory in our society. Official translations are required by the immigration offices all the time, so a no-error policy is what we abide by. As we have mentioned several times that we never compromise on two things, quality and customer satisfaction, and the true proof of our claims is evident in the fact that our company has a consistent reputation in delivering the best translation services on a global level. To ensure that we are never far from any changes in official translation services, our experts stay in constant touch with legal professionals and immigration officers. We remain focused on gathering all the vital information that is related to official translations, we take notes so that all of that can be later incorporated in the translation services that we offer to our customers. And most importantly, we are always ready to accommodate you with our affordability and availability. Need to have your translation notarized? We can do that too, at only $20 per document. Universal Translation Services provides certified and / or notarized translations at the lowest rates in the industry! Join our over 2.000 happy clients now. Click the live-chat button, our project managers will be there for you at any time, 24 hours a day, 7 days a week! You can also use our notarized translation tool to see how much your translation costs. The offer is only valid until the end of the month. Were You Looking For Cheap Certified Translation Services? UTS gives you the best translation rates without compromising the quality of the output. The quality can never be traded off by our translators. We facilitate you with a great range of translations you require at affordable rates. We also deliver the translation in 24 hours or even less. To help you sort out your budget, we bring you the cheapest translation rates, with efficient and time saving advantages. We make sure that we draw out the best for you, with our proficient team of translators, editors and proofreaders. If you are looking for cheap certified translation services, you are at the right place. We are at your service. We will provide quality translations at the cheapest rates. Rates as low as $20 per page, what can be better than this? These rates are here for this month only, so don’t let go of them. Place your order and we will look into the rest. Our excellent team of translators will start working on your project as soon as you accept our quote and we’ll deliver the translation in 24 hours. We also guarantee 100% acceptance by USCIS. The only thing we need to make clear is that we are only doing the translation job for the documents which are in another language, yet need to be translated into English, to be used only in the United States. Since other countries have different requirements in regards to official translation, we are only able to provide an official translation for the United States. 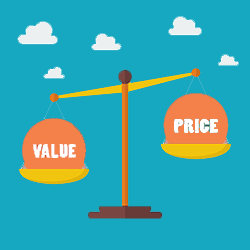 Why our prices are low compared with other translation agencies? When you go through our roster for certified translations, you find our price list much cheaper than other translation agencies. This is because we have carefully reviewed the process of translation and we have reached the point where we know that the translation rates can be lowered by making a few changes in the backbone of our system and how we work. The key factors which allow us to go as low as that is the fact that we use in-house translators, editors and proofreaders. This is because we want to maintain a sense of support and make sure that the quality of the content is not compromised. We only use translators that have already made a great impact on our team and who are specialized in providing such services. Another benefit of using in-house translators is translated into speedy services. We don’t have to spend time contacting translators, allowing them time to reply, take the job, etc. With fixed translators, all is done right there on the spot and this allows us to provide cheap certified translation services. We make sure that we use European translators for European languages so that the content is translated by native linguists, who are well aware of the local culture and customs. They also take lower rates, and this reduces the price to a considerable degree and makes the translation much more economical. These are two key ways to make sure that the translation that you get done is perfectly done and is also reasonably priced. We want to make sure that the translation is good and still within the reach of our clients. These services are best provided at reasonable costs as our clients are mostly middle-class individuals who require these services for immigration applications and other legal issues. translated, not that ordinary, good to go translation, but the authentic, certified translation from a competent source. Your personal documents are some of those documents which need to be translated and certified, and only certified translation will be accepted by your local Immigration Office. At Universal Translation Services, we do our best to deliver quality translation services to our valued customers and when we say quality, we really mean it. We know that sometimes a certified translation is inevitably required and you are not really ready to pay a whole lot of money, which is why we are offering cheap certified translation services. The biggest benefit associated with our cheap certified translation services offer is the fact that we are always available to provide you with assistance. Our 24/7 customer support always comes handy whenever there is any kind of urgency. Our project managers and live chat correspondents ensure that you never have any query left unattended. Another advantage in working with us is the fact that we do not have rush rates, or the so-called weekend rates. If you need your translation in 3 days or in under 24 hours, the price will be the same, with no extra rates added. We value our customers more than anything else and we believe that it is solely due to their continuous and relentless support that helped us arrive where we are today. So, as a gesture of gratitude, we are offering certified translations at only $20 per page. We take full responsibility for the authenticity of the certification we provide, so that you won’t have to face any inconvenience at any instance. Low quality translation could have bad consequences for your immigration case and delays will appear if your documents are not accepted. That is why we handle any document with extra care and make sure our translations are of the highest quality. If fact, our certified translations are guaranteed to be accepted by any USCIS office in the United States. If you have been delaying having your personal documents translated just because you thought the certification would be expensive, grab those documents and request a quote instantly. We assure you that our expert team won’t let you stay in further stress, and will provide accurate yet cheap certified translation services for your documents in the most cost effective manner. If you work across global borders or are looking to apply for a visa to live in another country, possibilities are you will be looking to have some documents translated to do so. Several applications need some translated documents that will be used for requirements attached to it, and one of those might be a certified translator completes them. These translators are of a different type than others who can do the service; they have done the proper training and have obtained their certification from an accredited agency. The process of becoming a certified translator requires a few things to be accredited, including taking a certification test that will test and legitimize your skill set.